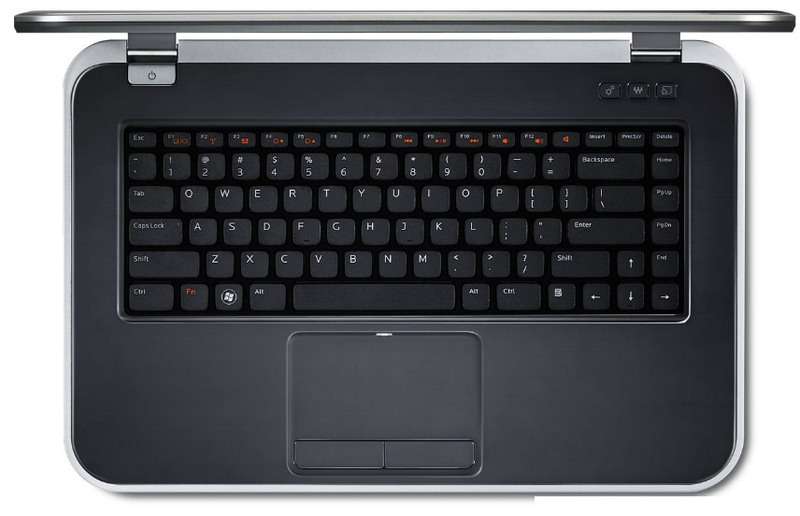 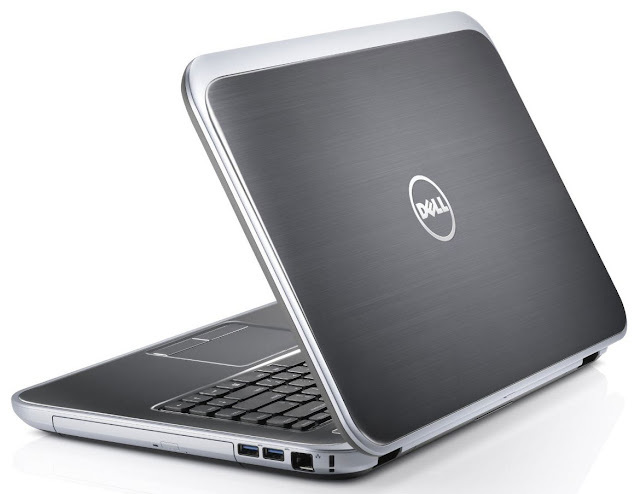 Hey guys welcome-back on this new laptop review, this time we will take a close look at the all new DELL Inspiron 15R laptop featuring the latest technology and hardware, the DELL Inspiron 15R is considered as one of the best price per performance laptop on the market powered with the latest Intel Ivy Bridge processor technology and Intel Panther Point HM77 chipset. 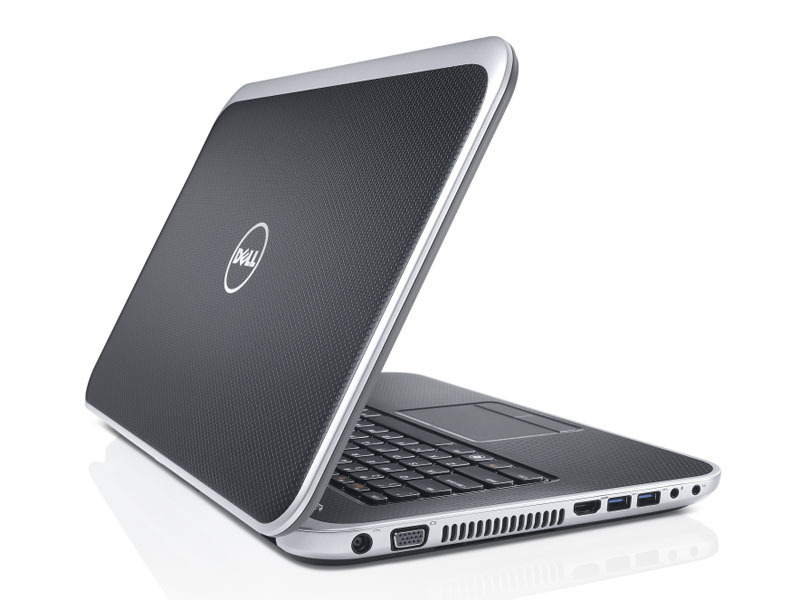 So on this Review we'll take a look at the performance of the new i5-3210M powered DELL laptop, and performance test of the AMD Radeon HD 7600M, in addition to an in-depth specifications and features of the DELL Inspiron 5520, lets begin with some close pictures. 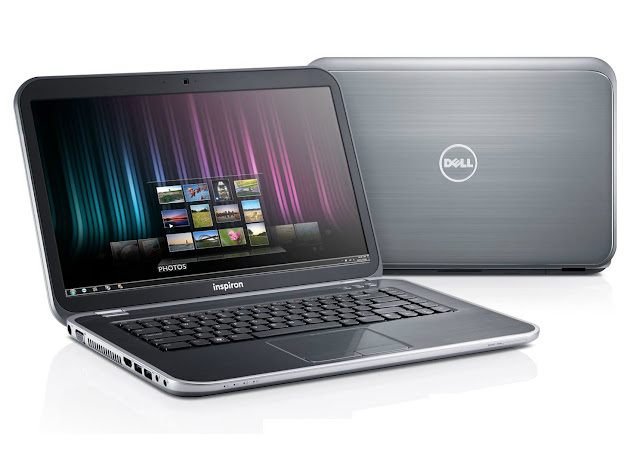 The DELL Inspiron 5520 model in test is powered with an Intel Core i5-3210M Ivy Bridge running at base clock 2.5Ghz using the latest 22nm process technology which promise a lower power consumption and longer battery life in addition to a larger room for higher clock speed, the i5-3210M uses 3MB of memory cache L3, you can check the CPUID snapshots for more specs on the CPU. 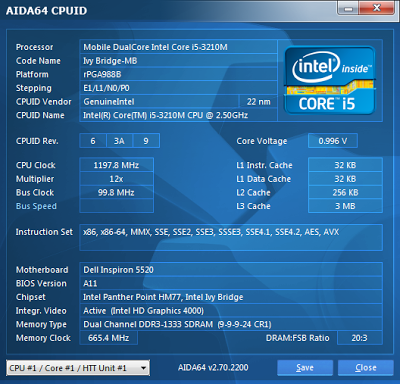 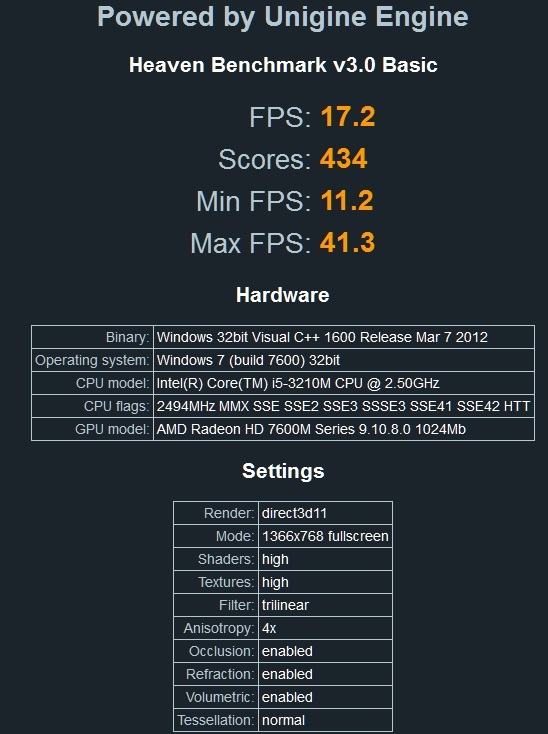 Another great thing about this processor is it comes with the latest Intel(R) HD Graphics 4000 packing a 16 execution units for faster calculation compared to 12 on the 3000 series, supporting the new DirectX 11 make it a perfect smooth solution for HD media processing, bellow a fast specification comparison between the Intel HD Graphics 4000, 3000 and HD Graphics 3000. 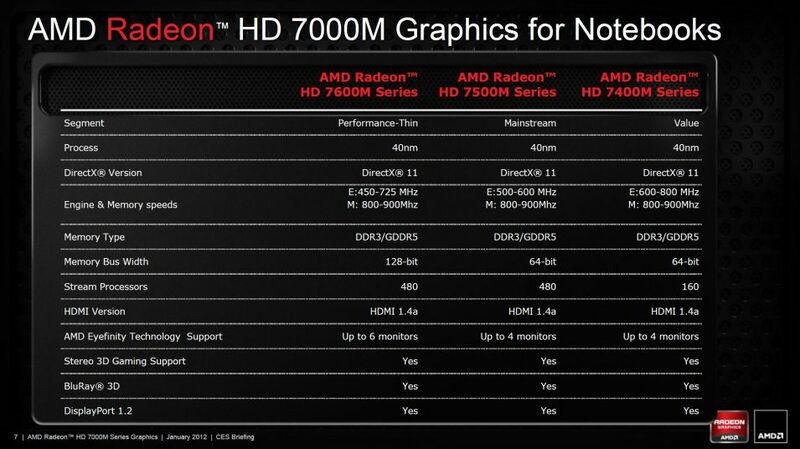 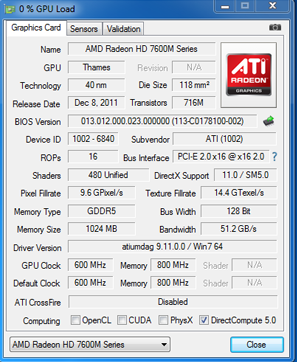 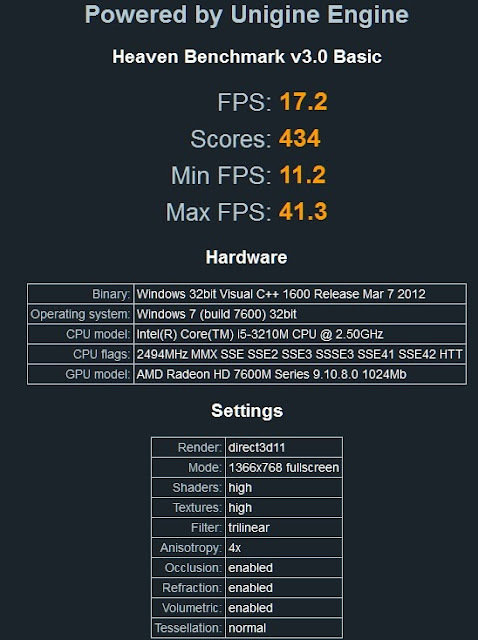 The AMD Radeon HD 7600M is a 28nm chip with the same stream process as the HD 7500M and HD 7400M but with an increased bus width up to 128-bit for better performance. 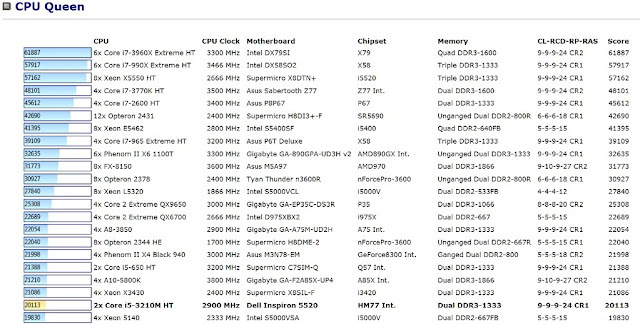 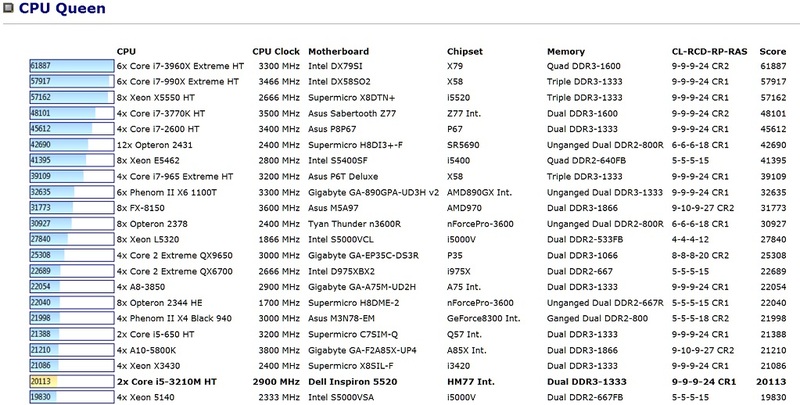 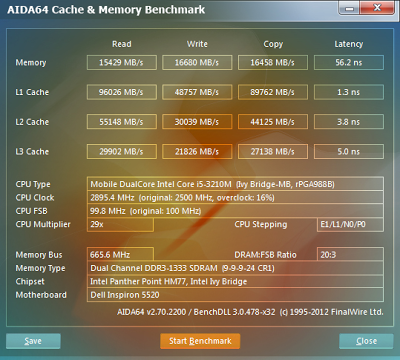 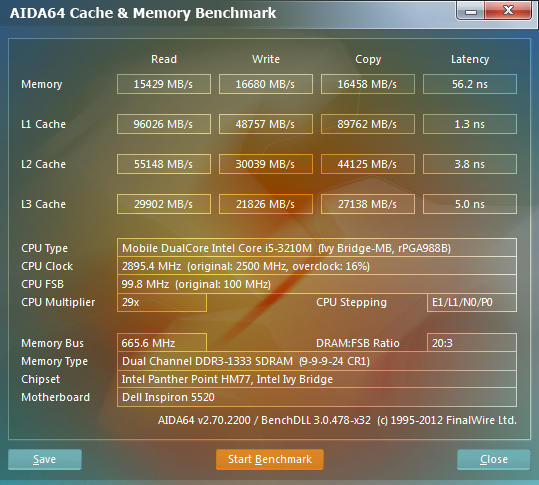 Now check out these performance Benchmarks proving the performance of the new Intel Ivy Bridge and four physical cores on the Core i5-3210M.